Rome - such an iconic city. Steeped in history, a mix of beautiful architecture and ruins almost everywhere you turn. I'd visited Rome many, many years ago, when I was about 20 I think, at a time when I worked in the travel industry. I was so excited to go back with Nick, as although I could remember snippets from all those moons ago I couldn't wait for us to explore together as Nick had never been before. We went early October and just look at that blue sky! Okay, we did have one of the hottest summers on record and it continued until late in the year so we were blessed with a scorching few days. Can't believe I'm saying this but it was a little too hot; we had so much to cram in it made us a little weary with all the walking. 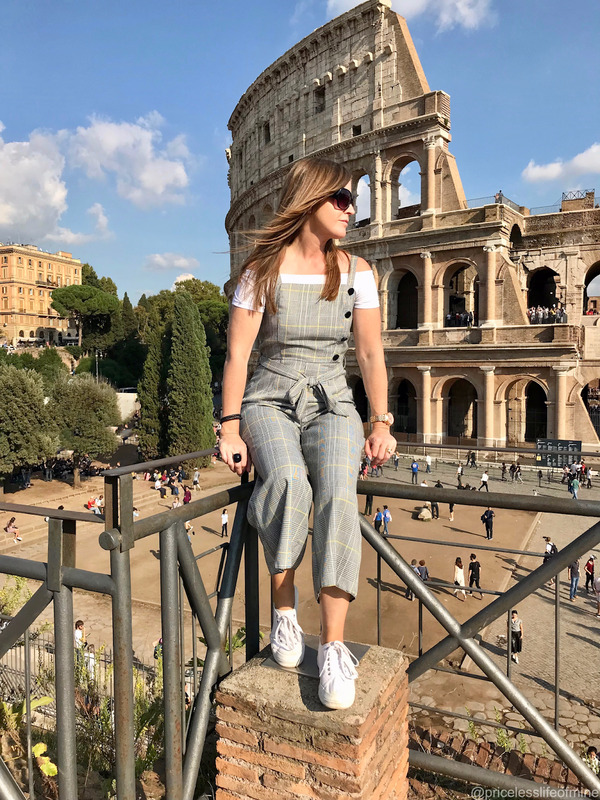 If you're planning a visit any Google search will throw up all the top spots and things to see and do in Rome but I thought I'd share our thoughts too; it might help. I think when most people think about Rome, they think about the Colosseum. The most recognisable of all the buildings don't you think? The gladiatorial arena. I remember coming here so I'll be honest and say I wasn't as excited as Nick for our first tourist stop. We pre booked tickets in the UK a week or two before we flew out as research told us that queues for tickets were long!!! We bought skip-the-line tickets that included the Colosseum, Palletine Hill and the Roman Forum. We booked through Co-op culture and I'm sure we paid somewhere around 12-15 euros each and I'd say it's essential to book before you go. We booked for the basic audio tour where you've given a hand held listening device and you go round in your own time without a guide. In hindsight I wish we had booked a tour with a guide because the headsets weren't brilliant, my first didn't work so had to go back and get it changed, and the signage and route to take around the Colosseum just wasn't that clear. In the end we gave up trying to find the numbers on the map and just wandered around, reading any signs we could find! Jumping back a step I wanted to mention about getting in as we found this annoying and quite frustrating. The crowds were vast, as you would imagine, but it wasn't managed too well either by the staff. The signage was so poor for the many different queues going on, and even though we had pre booked tickets it wasn't clear where we needed to be and we didn't want to miss our time slot, as when you pre book tickets online you have to pick a specific time. There are plenty of tour guides milling around so you can ask one of them to point you in the right direction, just don't expect them to be polite!! 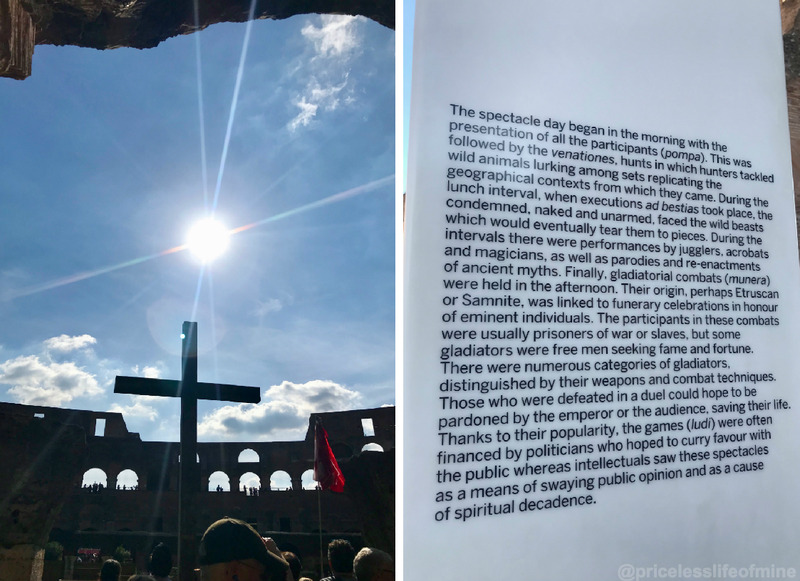 Actually all staff at the Colosseum and Palatine Hill were extremely rude, I won't bore you with the details but on a couple of occasions I was literally shocked [standing there with my mouth wide open] at how rude the staff were to members of the public. It was sooo bad. 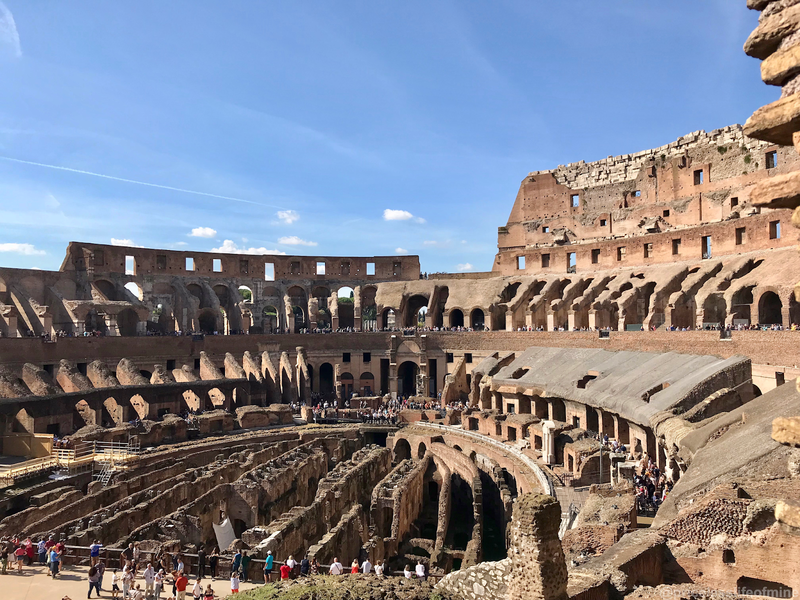 There's no denying that the Colosseum is truly breathtaking, your mind struggles to comprehend what went on there in the arena and the dungeons below. 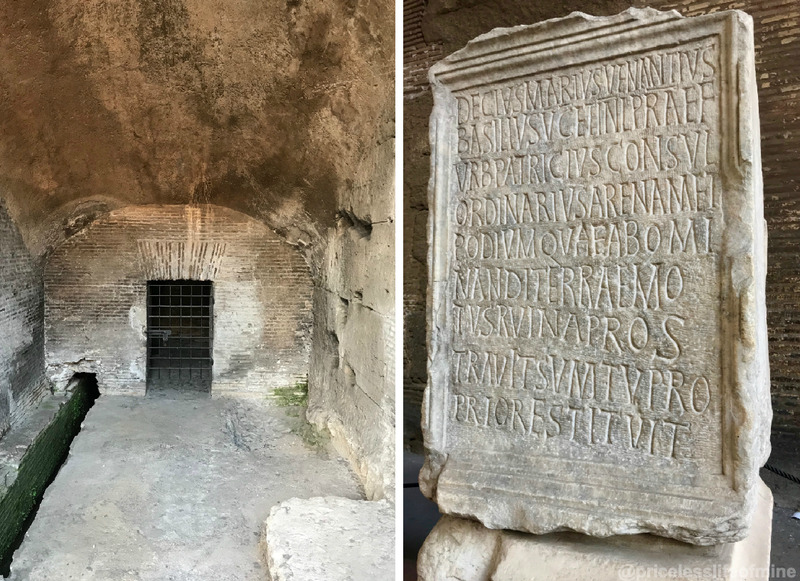 I kind of wished we'd booked a tour that included the dungeons and all the underground areas but it was quite costly and we were in Rome for a short time so wanted to cram in as much as we could. 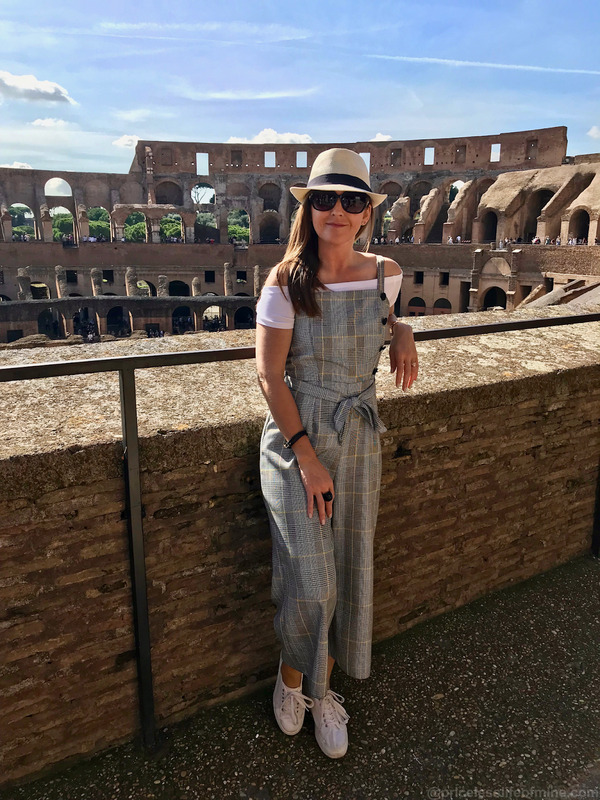 There are sooooo many people in and around the Colosseum but plenty of spaces for photo opportunities. The one of Nick and I below was taken by a fellow tourist when we were at Palatine Hill. He did a great job, it's perfect. 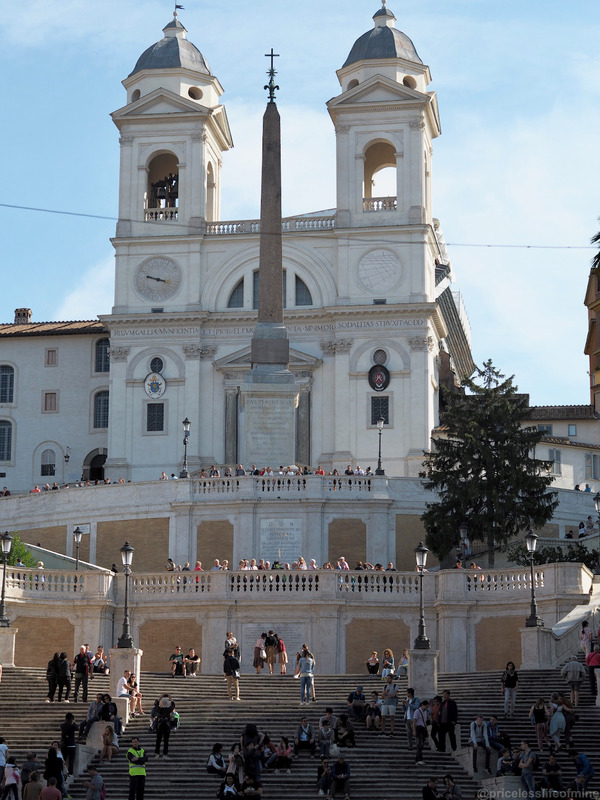 The steps are a place to sit and breathe in the atmosphere, grab a gelato and people watch for a little while. 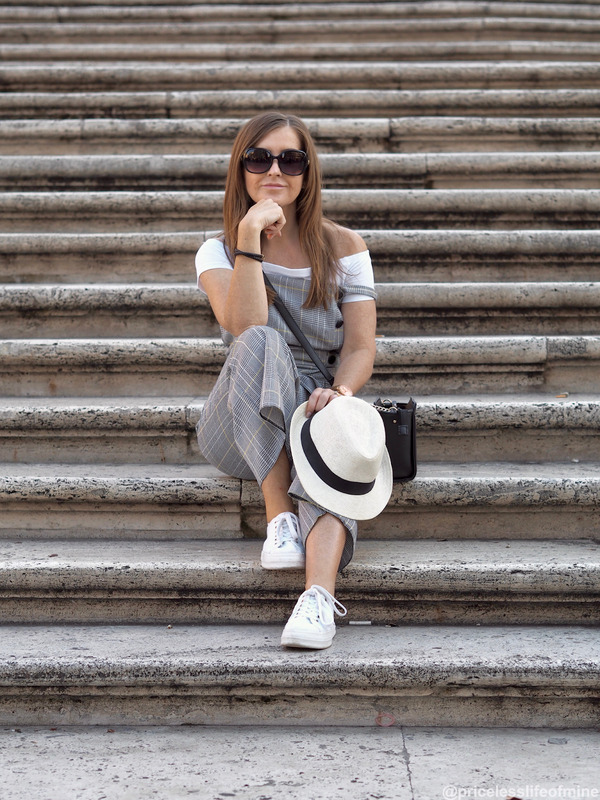 Crowds galore here too so I have no idea how we managed to get a photo of me sitting on the steps with no-one else's feet in it!! Situated in the Trevi district of Rome it's one of the most iconic and famous fountains in the world. It was rammed when we got there around mid morning so if you want a good photo for the gram or whatever then you need to get there early morning before the masses arrive. The fountain is one of the oldest water sources in Rome, dating back to ancient Roman times. Again, I'd already seen the Trevi so knew what to expect, but I think Nick was kind of like "oh, is that it?! A little bit underwhelmed I think. It's a grand fountain, don't get me wrong, but you expect more, if that makes sense? You walk through the narrow, bustling streets and all of a sudden it's there in front of you in the middle of the town. Thing is, you have to go to say you've seen it, and throw in your coin of course. 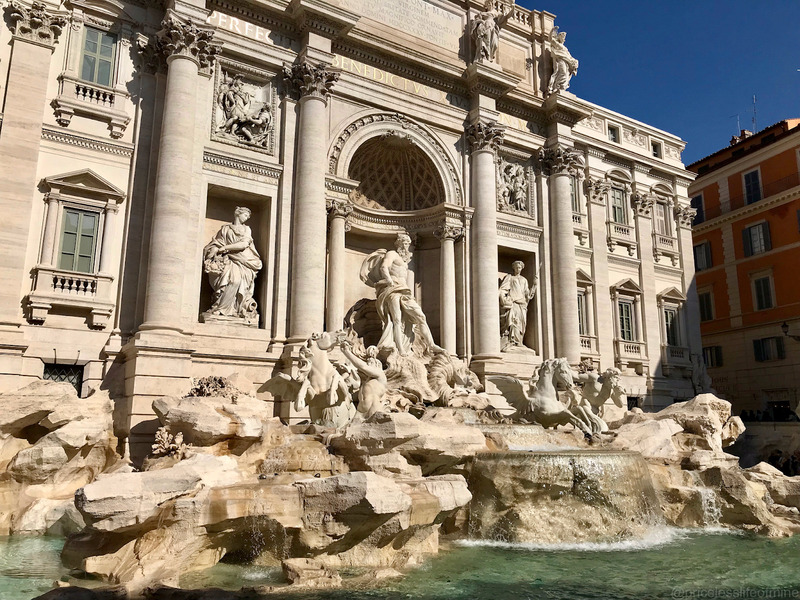 It's said that tossing a coin into the fountain using your right hand over your left shoulder ensures your return to Rome one day! 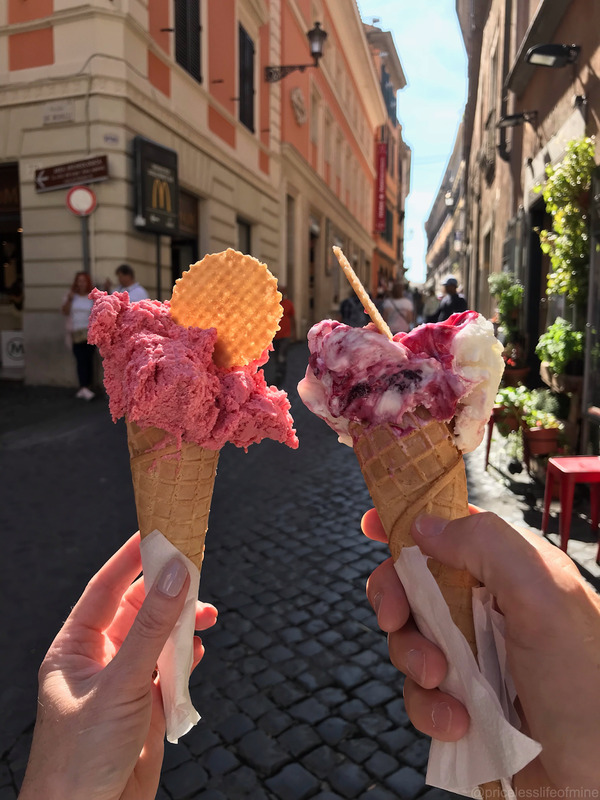 The surrounding streets are full of small shops and cafes and gelato pit stops. Rude not to. 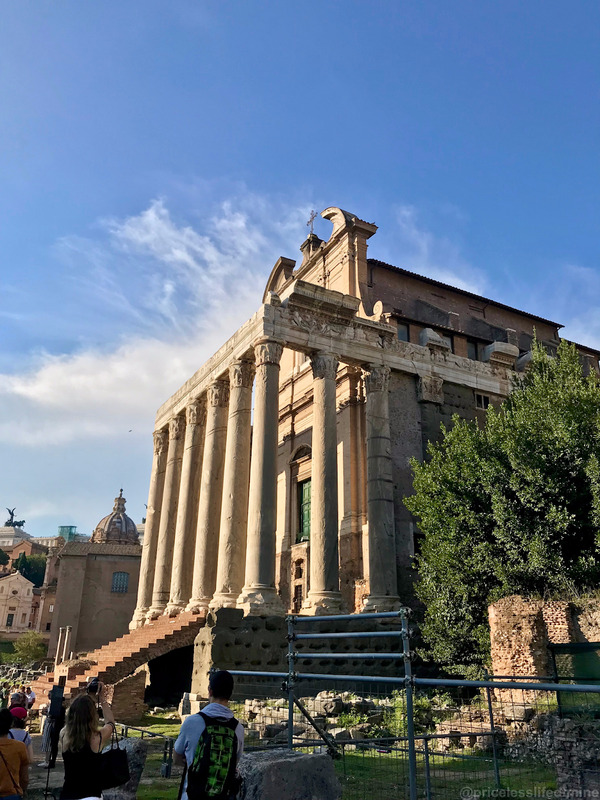 The most preserved ancient building in Rome. Formally a Roman temple, now a church and it's free to go inside. The word Pantheon is a greek adjective meaning 'honour all gods'. It's incredibly beautiful and an architectural wonder. How the hell they managed to build that dome I will never know. 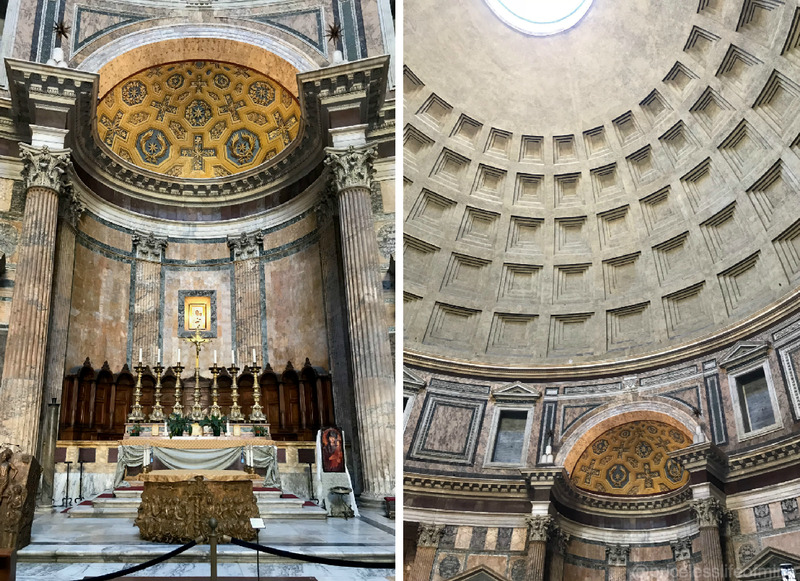 The hole at the top of the dome is the only source of light and the marble floor in there today is the ancient Roman original. Any photos I have do not do it any justice, you have to go see it. Don't be alarmed if you see a long queue to get in when you arrive, they basically monitor the numbers so some come out, they let some in, and it goes down really quickly. There are some lovely restaurants around the Pantheon too. 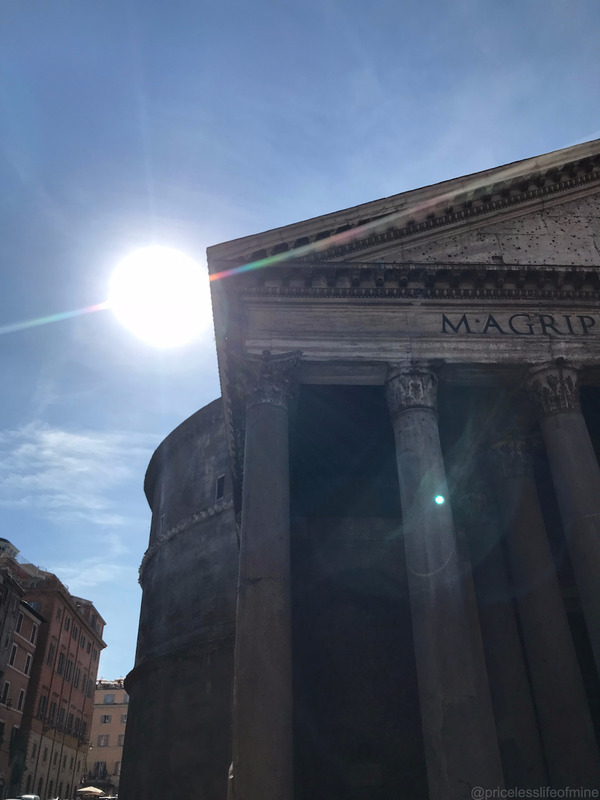 Our son and his girlfriend went a few days after us and ate in the square in front of the Pantheon and said it was really reasonable. 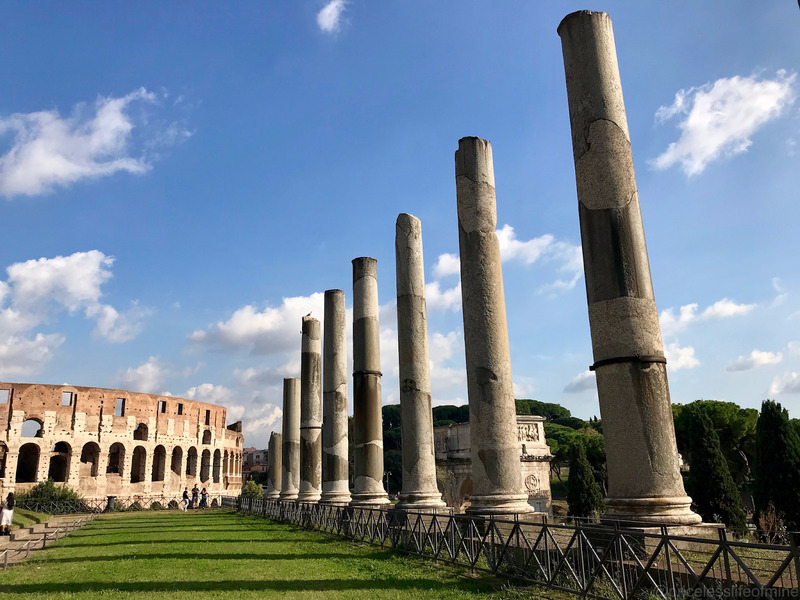 As I said Palatine Hill and the Roman Forum were included in our pre booked tickets and a place I had not been to!!!!! The two areas are classed as one admission. The Palatine is the most famous of Rome’s seven hills. 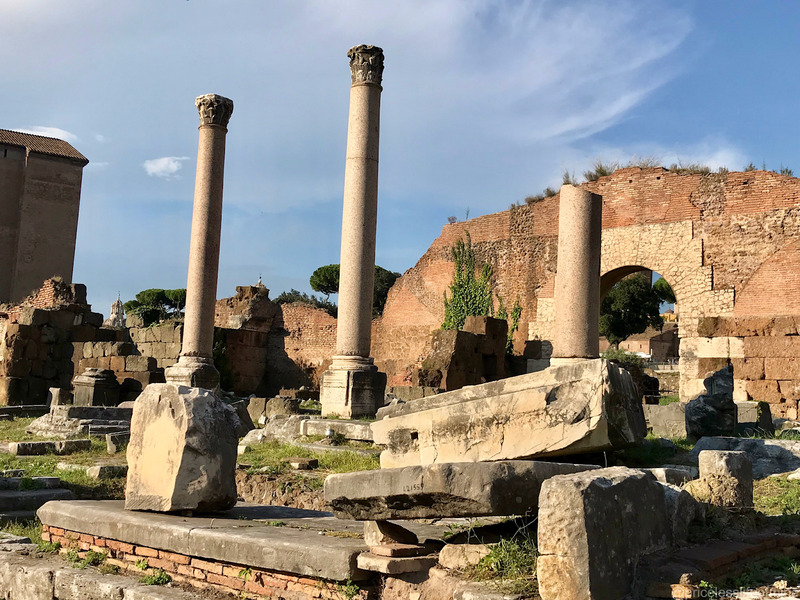 In Ancient Rome it was considered one of the most desirable neighbourhoods in the city, and was the home of aristocrats and emperors. 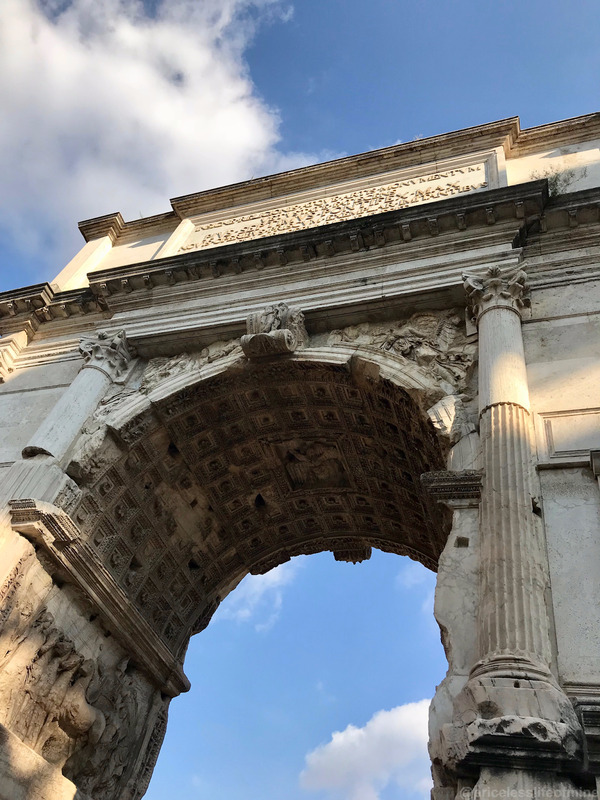 We spent a bit of time wandering around Palatine Hill then entered the Roman Forum through the Arch of Titus [above]. Now, our ticket included one entry to the Colosseum and one entry to Palatine/Forum and we did both on the same day. 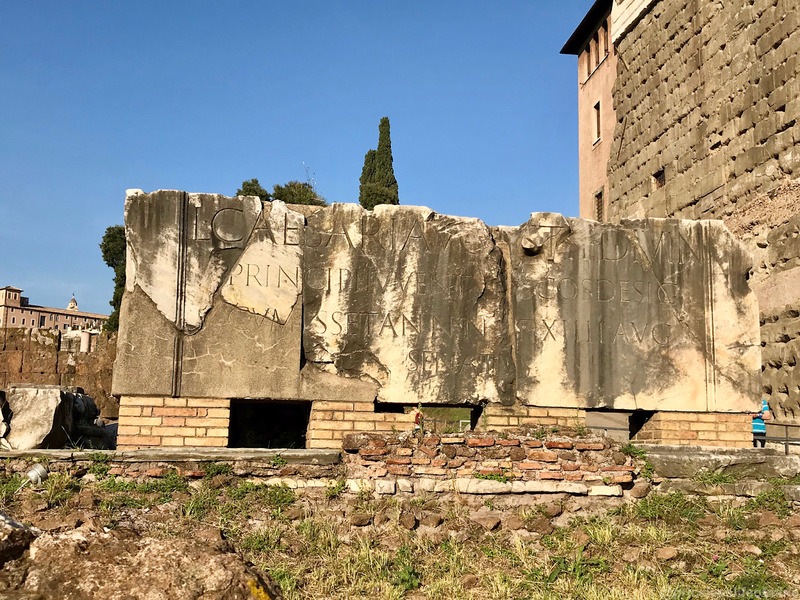 We regretted doing that because Palatine & the Forum are vast and you need to allow yourself time to explore, take it all in and read all the info. We squished it all in to the afternoon and rushed it a little bit, although in fairness we were flagging anyway as it was so damn hot, and in there you're in the open all of the time, in the sun, wandering around the ruins and the gardens, so we were ready to get back to the hotel. If I can give you one tip here it would be to allow yourself plenty of time to take it all in, there's so much to see. Perhaps do the Colosseum one day [with other places] and the Forum another day. Actually, a second tip is that a guided tour here is the only way to go. Yes, you can just walk around like we did, but there's too much to see, the site is just so big. The Forum was the centre of the city in ancient times. A rectangular forum surrounded by ruins of government buildings, shrines and temples and was the hub for social and political activity. 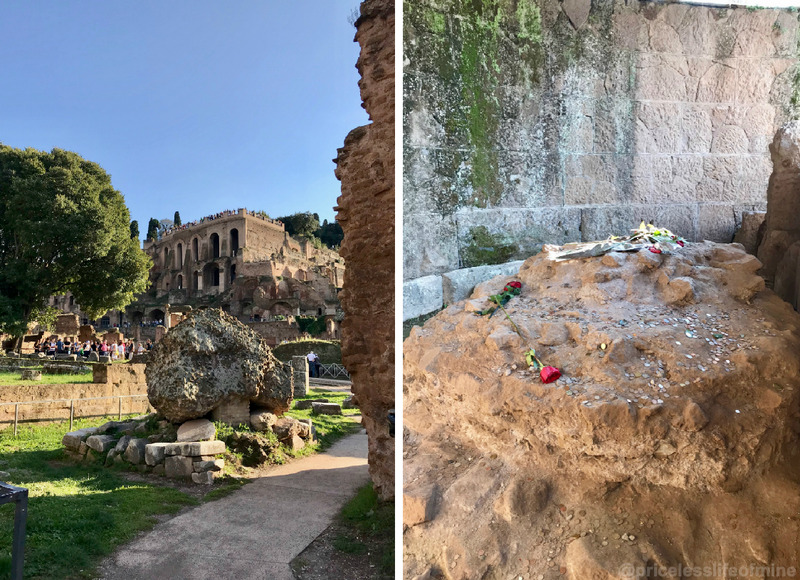 It is reported that Julius Caesar's ashes are in the Forum, buried beneath an altar. Weirdly the spot is not well marked and we only saw it because a guide was pointing it out to her group. It's the picture on the right below. Incredible hey? All the ruins are so well preserved, it's so impressive, you are totally surrounded by thousands of years of history, quite haunting. 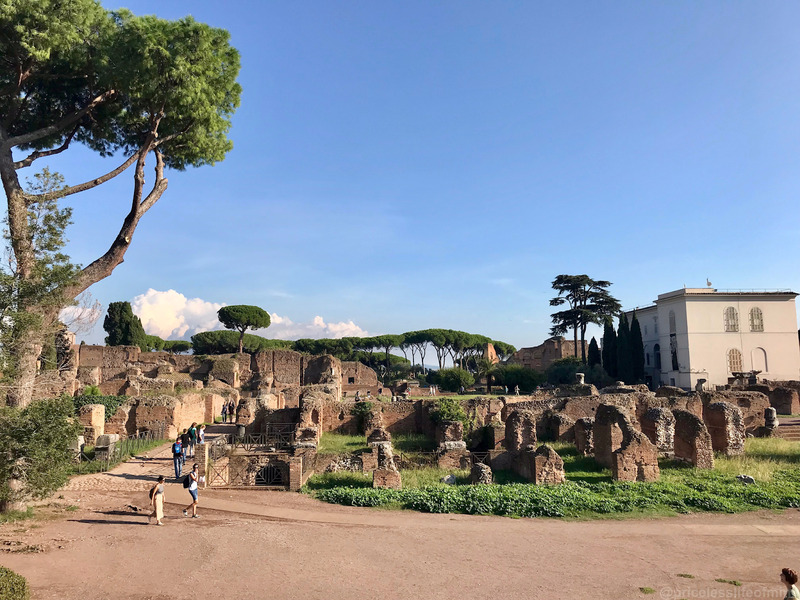 Out of all the places we visited, Palatine Hill and the Roman Forum were my favourite parts of all of Rome. Pre book any tickets to avoid even bigger queues. You will still have to queue to get in and go through security but at least not queue for tickets. Goes without saying but wear comfortable shoes. You will walk your feet off. We prefer to walk everywhere, because if you're travelling underground you miss things. We only took the metro once on our second day to Vatican City. Take plasters -just incase. Loads of pharmacies around but have some in your rucksack ready! If you're on a short break, do your research first and plan your trip. Worked amazingly well for us and we got to tick everything we wanted to do off our list. Schedule in food and drink stops. Sounds silly but it's so easy to loose track of time when you're hopping from one place to another. On day one we realised at 3/4pm we hadn't eaten since breakfast. No wonder we were weary! And, we walked and saw the Spanish Steps, Pantheon, Colosseum and the Roman Forum all in one day. Phew. We slept well that night! If you go when it's going to be warm/hot make sure you pack a hat. Take a small rucksack out with you whilst sightseeing but travel light. Just take the essentials as your bags will be scanned /checked before entry into most places. Take water with you. You'll need it whilst walking. Rather than carry a couple of bottles in our rucksack we bought ice cold bottles from the street sellers. They were a euro each. 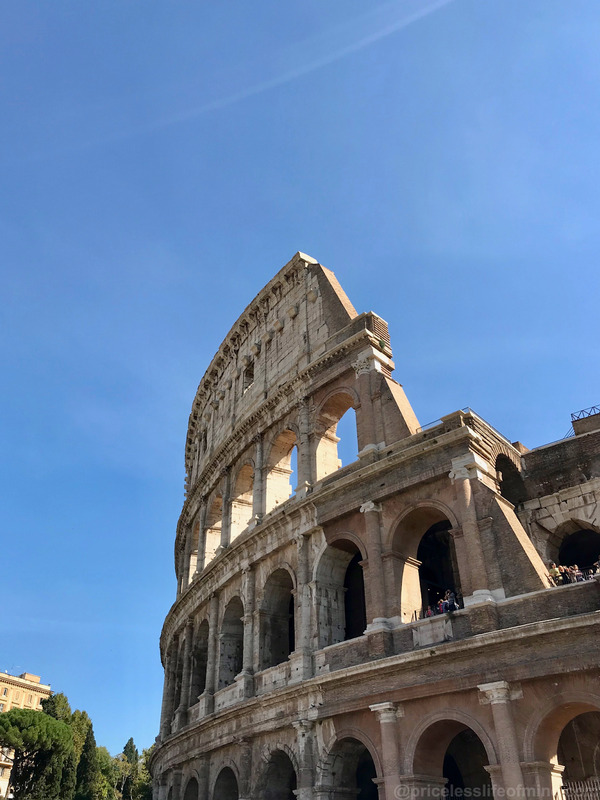 If you don't want to do that take an empty bottle and refill at the fresh water points, they are dotted around places like the Colosseum, the Forum etc. Take some small snacks in your rucksack/bag. Remember, food and drink directly around the famous spots will be more expensive. We ventured into the side streets and found some great food at great prices. 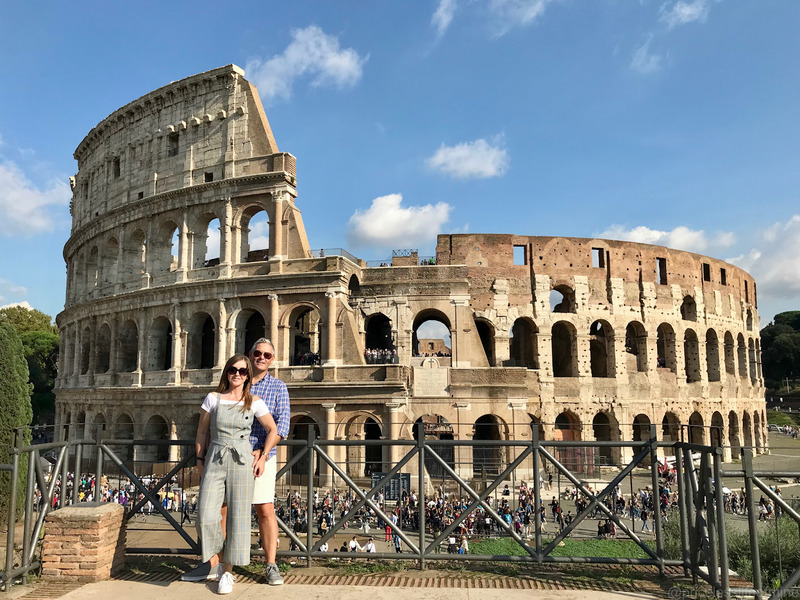 We crammed so much in to one day and were exhausted by the time we got back to our hotel but honestly a trip to Rome is not complete without a visit to all of these ancient landmarks so it was worth every step and every blister. I'll be sharing details of where we stayed and what we did on day two very soon so stay tuned!